about this book: This is book 2 in the Revenge Series. Nathe and Addie Watson are warned by Amps, a ghost from Nathe's past, that the Hooper-Watson Feud might still be fermenting. Nathe thinks it's due to Bad Blood. 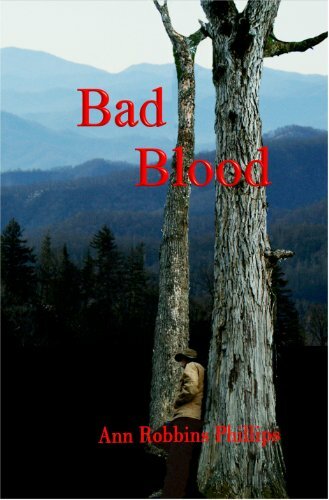 Bad Blood--the fact that a person is bad because of his or her blood line. Is that possible? The struggle involves Glee Hooper, his wife's nephew, which hides activity in the mountains that's illegal. Their daughter, Lottie, has become an object of a bet that is meant to revenge the Watson family. Can Lottie survive her marriage? Is there anyone that can intervene and save her? The Hooper and Watson families struggle with mistrust and betrayal. Can you settle debts involving blood, or do one of the two families need to escape from the mountains to stop the fighting? Ann's books are based on smidgens of truth found in her genealogical research into the colorful family of the Hoopers and Watsons from her mother's family. Book 3 coming Fall 2013.